Nop has always believed that every golfer has talent and can improve their game and the real enjoyment in golf is the challenge to be the best that you can be. 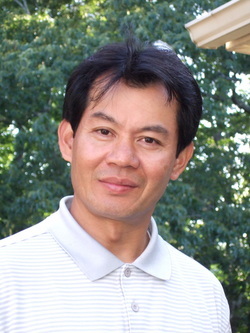 Nop continues to work with golf players, but his passion is to help any golfer with the desire to improve. His students have won in professional golf, amateur golf and junior golf. His students improve and have fun with the learning process. Sath use sophisticated digital video analysis in their one-on-one teaching sessions. He will work with you on every aspect of the swing to improve power, accuracy and consistency. The short game of chipping, pitching, sand shots and putting is strongly emphasized to help everyone lower their scores. To develop a complete player, all the mental aspects and course management skills are emphasized with every golfer as well. As a student progresses through their training, Sath instructs them on how to understand what their swing is doing by analyzing the ball flight which is really the cornerstone to becoming your own best teacher. Each student learns how to practice, how to play the golf course, how to analyze your game to find the areas that need the most improvement, and most importantly how to think and act likes a champion. Sath Nop is dedicated to introducing as many people as possible to the game of golf and helping them play their best.